He wished he had listened to his friend and kept close to the house. Now he just stood there and cried. 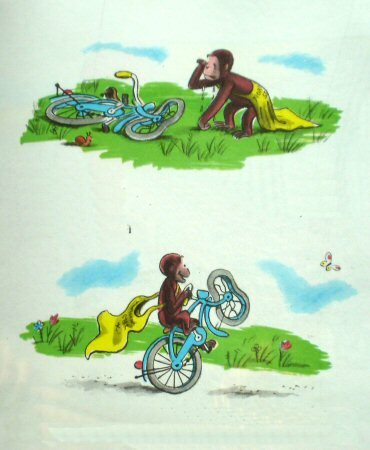 Why—he had forgotten that he could ride on one wheel. He tried it and it worked.